Need a roadside repair kit ? Check out our range of promotional Tools that are ideal to keep in the car. Decorate any of these fabulous items with a laser engraved logo or a screen print. Check out the complete range here. When people spend a lot of time in their cars it’s important to consider the safety issue of having products on hand that may be helpful in a breakdown or an emergency. 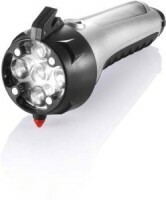 We have emergency tool kits, emergency torches, multi tools and a range of car usb charger. Our custom printed or engraved range of tools are excellent quality products that are perfect when promoting your branded produce. Emergency Car Kits are a must for every driver. Our range of car kits are excellent accessories to have on board your car or at home in the case of an accident. Handy to have at home as well if your battery suddenly decides to give up the ghost.